New Albany, Indiana – A copyright attorney for Broadcast Music, Inc. (“BMI”) of New York, New York filed a complaint for copyright infringement in the Southern District of Indiana, New Albany Division against Philkerr, LLC d/b/a Hardy’s Café and Steven Phillips, individually, both of Scottsburg, Indiana. BMI asserts that it has been granted the right to license the public performance rights of approximately 8.5 million copyrighted musical compositions. In this Indiana copyright litigation, BMI alleges 15 counts of copyright infringement. In addition to Plaintiff BMI, this lawsuit was instituted on behalf of twenty-five other Plaintiffs. These Plaintiffs claim ownership to the copyrighted compositions at issue. The Defendants in this lawsuit are Philkerr LLC and Steven Phillips, the owner of Philkerr. 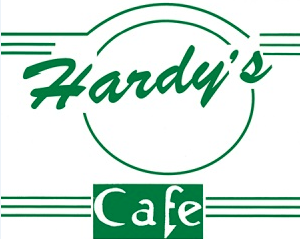 They are accused of having infringed the copyrights-in-suit by causing the unauthorized public performance of BMI members’ musical works at Hardy’s Café. Through this lawsuit filed by their copyright lawyer, Plaintiffs ask for an injunction restraining Defendants from publicly performing Plaintiffs’ compositions without authorization from BMI and a judgment for statutory damages, attorney’s fees and the costs of the litigation. The case was assigned to Chief Judge Richard L. Young and Magistrate Judge William G. Hussman, Jr., in the Southern District of Indiana, New Albany Division and assigned Case No. 4:15-cv-00128-RLY-WGH.